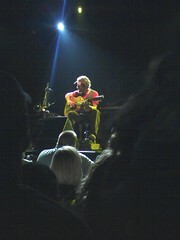 I just got home from seeing John Butler play at the Fillmore. I’ve seen him quite a few times now, but I must say that he keeps getting better. I’ve never seen anyone play guitar like he does. I’ve been feeling stressed lately and can’t quite put my finger on why. Seeing John play definitely helped.